A 1-1 draw with Orlando Pirates at the Harry Gwala Stadium on Wednesday night enabled the Team of Choice to hang on to their top eight spot. Maritzburg are in eighth position, with 37 points, equal on points but with a superior goal difference to Free State Stars, who beat Bloemfontein Celtic 1-0. 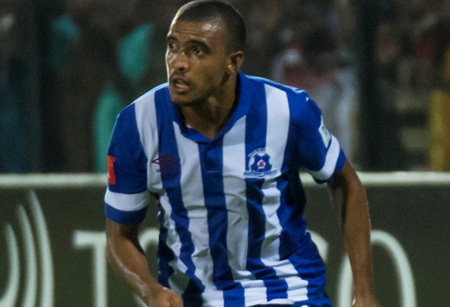 The Team of Choice took the lead after just five minutes in Pietermaritzburg when a brilliant bit of play from the impressive Kurt Lentjies saw him playing Deolin Mekoa in on goal, the latter seeing his shot deflecting off Happy Jele and into goal. Maritzburg continued to attack the Pirates defence throughout the opening 20 minutes, but couldn’t find a way to beat Brighton Mhlongo for a second time. The match remained evenly balanced, with Pirates drawing level on 65 minutes when Kermit Erasmus made space for himself on the edge of the area before picking out the bottom corner of the net. Thamsanqa Gabuza could have put Bucs in front, but he took too long to get his shot away, Virgil Vries doing well to make the save. The KZN side had late chances to win the game trough Mohammed Anas and Lentjies, but Mhlongo was to deny both of them.